Think about the dentist. Are you imagining some horrible white-coated doctor who pokes and prods at your teeth until you bleed out of every part of your mouth? Maybe you’re thinking about an oral hygienist who is really hot, but then turns into a monster as soon as she gets her dentist instruments in front of her. Either way, I can bet you’re not picturing an artist. I wasn’t either. I never thought of dentistry as artistic until I watched this video. Dr. Andre Reis, a Brazilian dentist, shows the audience how he remedies tooth decay by basically building an entirely new tooth. When someone has tooth decay, the first thing the dentist will do is hollow out the tooth, removing all the decayed bone. Once the tooth is just an exterior, the dentist can begin to rebuild. 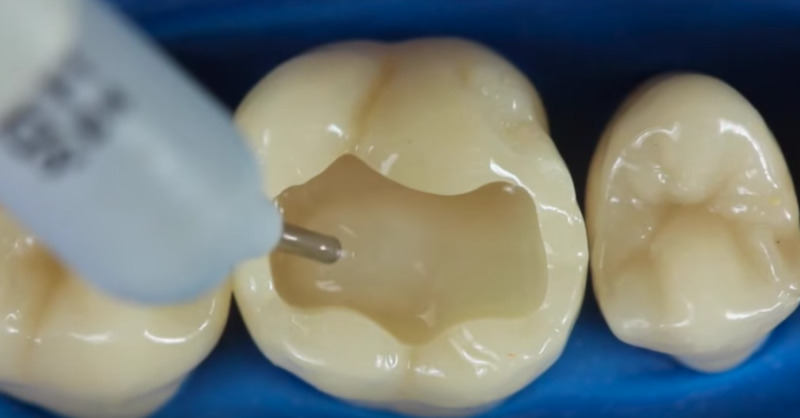 In this video, Dr. Reis starts with a shell of a tooth, and slowly begins filling it with some sort of tooth-colored resin. Once that is done, he uses a setting light on it to harden the liquid substance into a solid. After the resin creates a base coat, Dr. Reis uses a malleable material to sculpt the rest of the tooth. He creates the exact lines and indentations that you would find on a normal tooth. By the end of the video, it’s impossible to even tell that this is not a natural tooth.